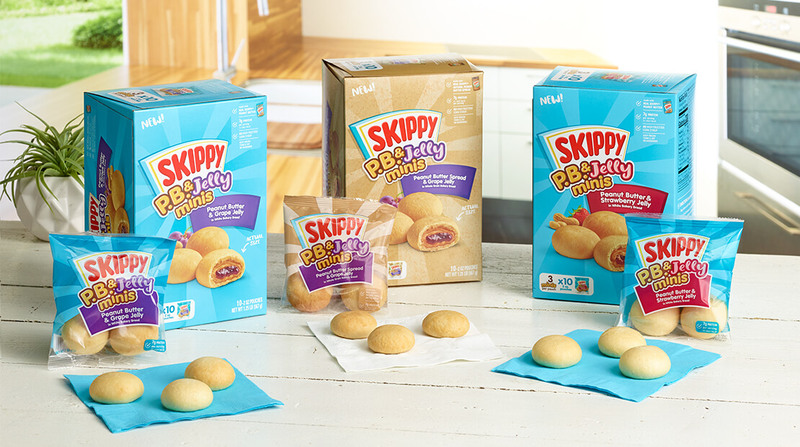 Hormel-owned Skippy has expanded its range of peanut butter snacks by introducing a new line of mini peanut butter and jelly snack bites. The new Skippy P.B Jelly Minis range features dough balls filled with Skippy Peanut Butter and various flavours of jelly. Three variants are available in the range: Peanut butter and grape jelly with white bakery bread, peanut butter and strawberry jelly with white bakery bread, and a wholegrain variant made with peanut butter and grape jelly. Available in multi-packs which include 4 or 10 bags of the snacks, the Jelly Bites contain 7g of protein per 2-ounce serving, the equivalent of three pieces. Jennesa Kinscher, brand manager at Hormel Foods said: “We know that consumers continue to look for more and more ways to find easy protein solutions for snacking and quick meals on-the-go. “With the launch of Skippy P.B. & Jelly Minis, peanut butter and jelly lovers everywhere now have another way to enjoy the classic PB&J in a fun and convenient way. The release of the new snacks follows on from the release of Skippy P.B Fruit Bites last month, further enhancing the brand’s presence in the snacking segment.